Rattlesnakes make nice western boots. Frankly I haven’t ever really found much other use for rattlesnakes. 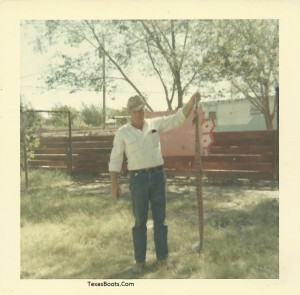 I had rattlesnake rattler for a baby rattle when I was young. I also had a few hanging off a key chain like a rabbit’s foot when I was older. A Texas rabbit’s foot if you will. We leave them alone mostly but there are so many that killing them is inevitable. 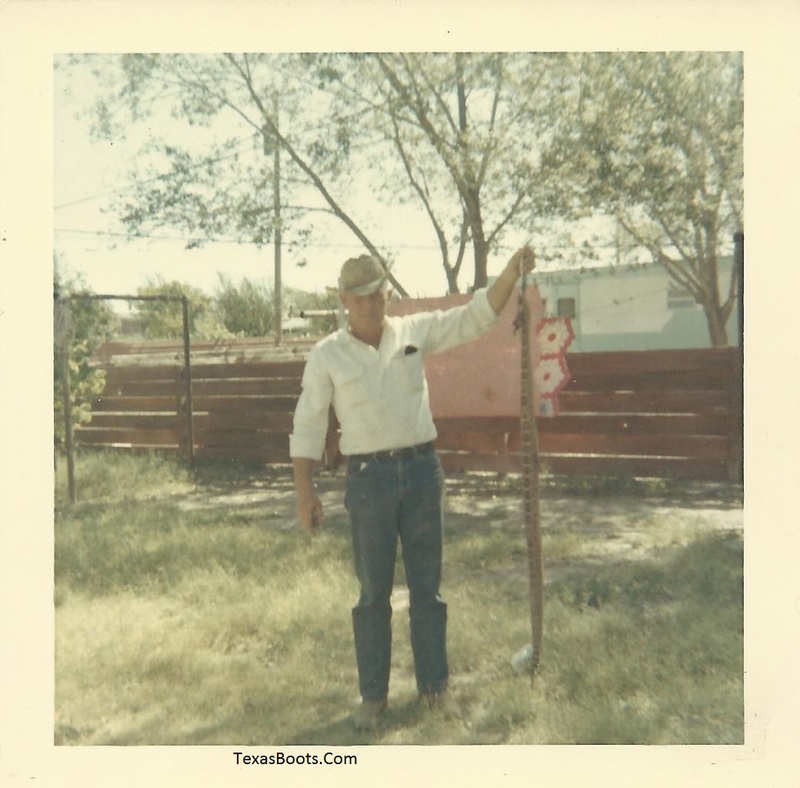 My uncles and granddads always seemed to want their picture taken with the snakes. I look at those pictures today and I think that sure would have been a nice rattlesnake wallet or boots! While the skin is hard to work with and tricky to care for; the unique pattern and lethal reputation of the rattlesnake make for a perfect exotic skin boot. Most snakeskin boots these days are python (which are nice looking too) but there are a few around made out of rattlesnake. Check out some of these finds. While rattlesnake certainly makes a distinctive boot, it makes pretty good wallets and handbags too!